Old State Rd ends in New Haven. 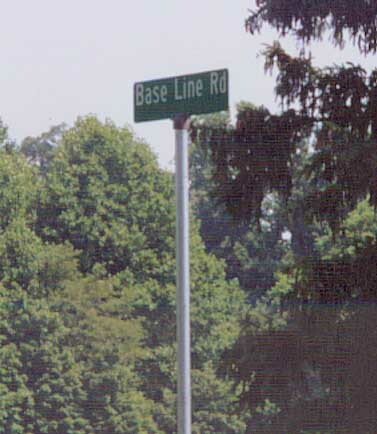 However, it's end point has been changed over time (used to run directly into US 224, now it turns into Oh 61). I've also included some other photos of New Haven that don't have anything to do with the Old State Rd, but made a good fit here. I don't know. 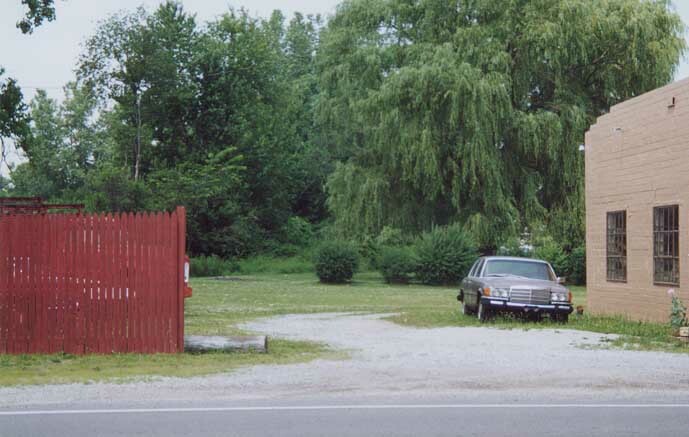 When I came upon this, the overhead lights, electric poles and housing had me thinking I was approaching a town. 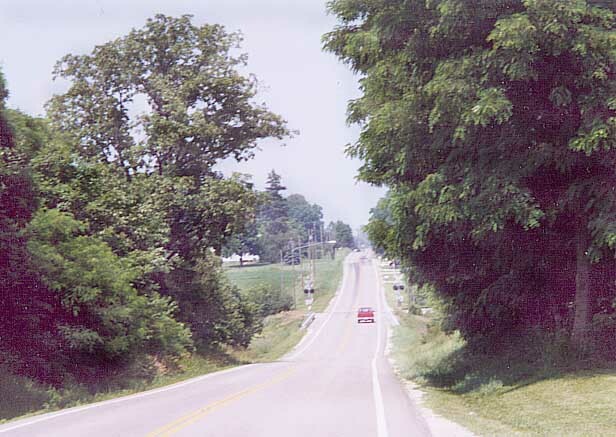 Alas, the nearest town isn't for another 5 miles north of where this picture was taken from. We'll save some money by attaching the sign for the town on the back of this other sign. 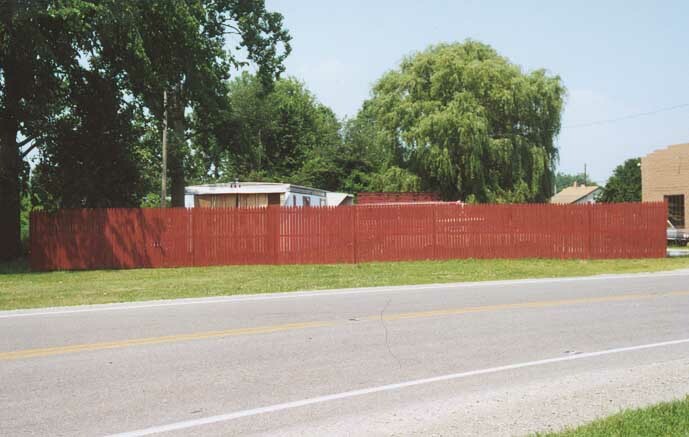 According to legend, the original Old State Rd continued straight, through the fence, on to current US 224. 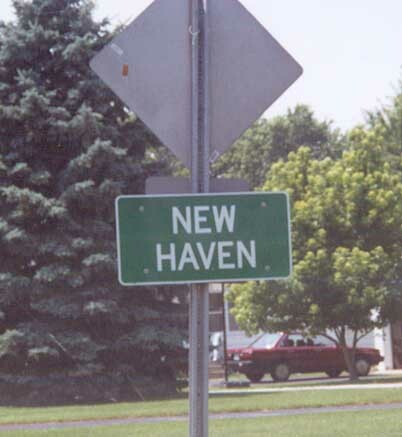 Now traffic (on Oh 598) has to turn right to Oh 61 before continuing north through New Haven. 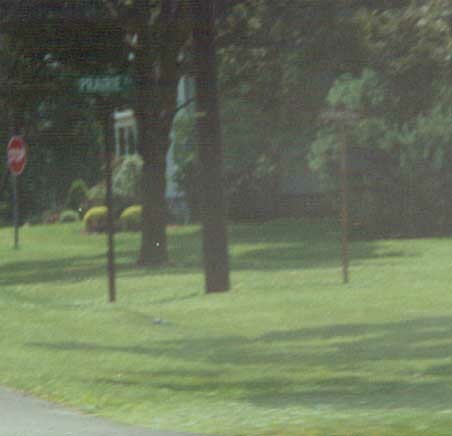 The end point for Oh 598 @ Oh 103 just north of New Haven. 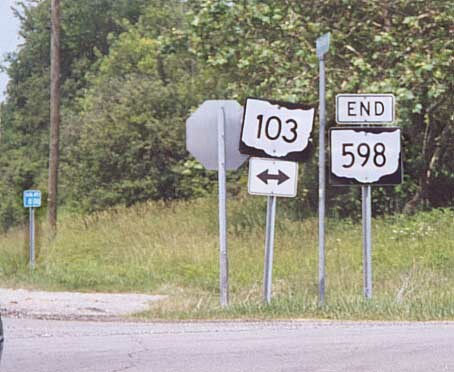 There is no "End 598" sign in Galion. 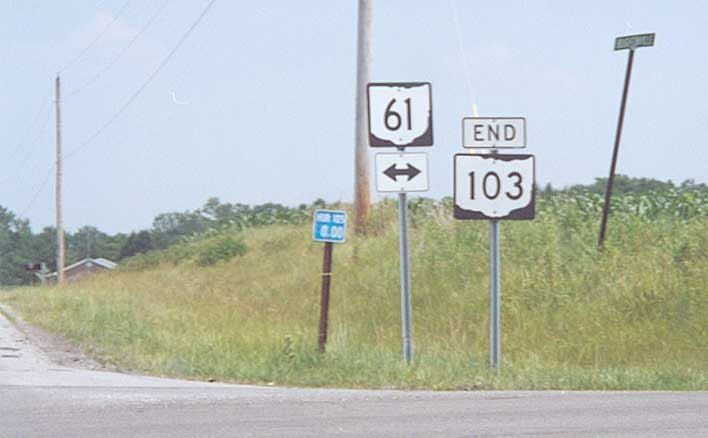 And then Oh 103 ends just a mile or so east of Oh 598 at Oh 61 (north of New Haven).